Fusillades à Paris : Hollande au Bataclan évoque un combat "impitoyable"
Le président de la République s'est rendu au Bataclan peut après la fin de l'assaut et a tenu un discours de fermeté. François Hollande entouré de Bernard Cazeneuve, Anne Hidalgo et Manuel Valls, aux abords du Bataclan à Paris. A peine arrivé au Bataclan, François Hollande a affirmé que la France allait mener un combat "impitoyable" contre les terroristes, après les attentats qui ont fait au moins 120 morts vendredi soir à Paris. "Nous voulions être là, parmi ceux qui ont vu ces choses atroces, pour dire que nous allons mener le combat, qu'il sera impitoyable", a déclaré le chef de l'Etat. "Parce que quand des terroristes sont capables de faire de telles atrocités, ils doivent être certains qu'il y aura en face d'eux une France déterminée, une France unie, rassemblée, et une France qui ne se laissera pas impressionner", a poursuivi le chef de l'Etat. "Même si aujourd'hui elle exprime une émotion infinie à l'égard de ce drame, de cette tragédie, qui est une abomination parce que c'est une barbarie". Le chef de l'Etat avait indiqué auparavant que les forces de sécurité étaient intervenues "dans des conditions extrêmement difficiles", et que "les terroristes qui s'étaient installés notamment dans un lieu tout près d'ici ont été tués". Il a rendu hommage "à tous ces services médecins, pompiers, protection civile, qui se sont dévoués tout au long de la nuit, pour venir en aide. Il y a de nombreux blessés, des blessés choqués". France has declared a state of emergency and people in Paris are being told to stay at home after at least 127 people were killed in six co-ordinated attacks across the capital. A further 99 people are in a critical condition after the violence, which French President Francois Hollande has described as an "act of war" by Islamic State. IS has claimed responsibility and said the near-simultaneous attacks were a response to insults of the Prophet Muhammed and French airstrikes in IS territory. Around 40 people died in shootings and bombings at bars, restaurants and a stadium in the capital - more than 80 are thought to have been killed at the Bataclan concert hall. Eight attackers were killed - seven of them died in suicide blasts. Police officials say a Syrian passport was found next to the body of a suicide bomber at the Stade de France stadium, and reports in France say a suspicious black car with Belgian plates was seen near the Bataclan. 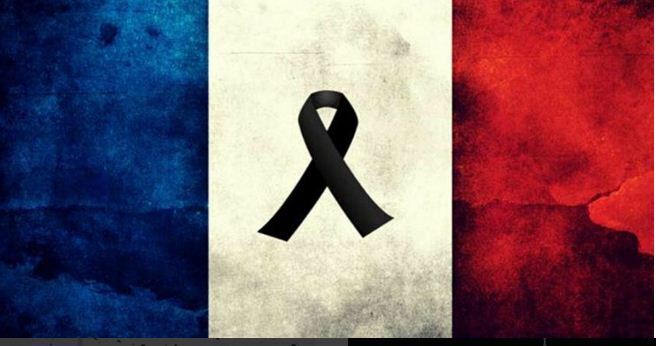 Mr Hollande, who described Friday night's attacks as "a horror", has declared three days of mourning and said: "France was attacked in a cowardly way. France will be unbreakable in face of these attacks." Twitter accounts linked to jihadists have been celebrating the attacks, which are the deadliest in Europe since the Madrid bombings of 2004. 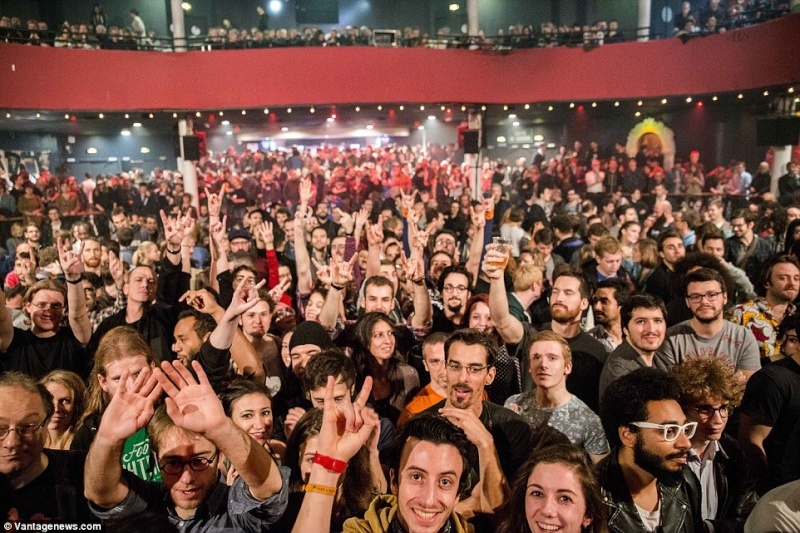 The scene of the worst carnage was the the Bataclan music venue in the city's east. Three gunmen took dozens of people hostage after first using assault rifles to spray cafes near the building with bullets. A short time later, elite police commandos launched a dramatic assault on the theatre, but they were unable to save all the hostages. One witness told French radio they heard the attackers yell "Allahu Akbar" - God is great in Arabic - as they started their killing spree. All three attackers died at the venue - two detonated explosives, while the third was killed in the police raid. 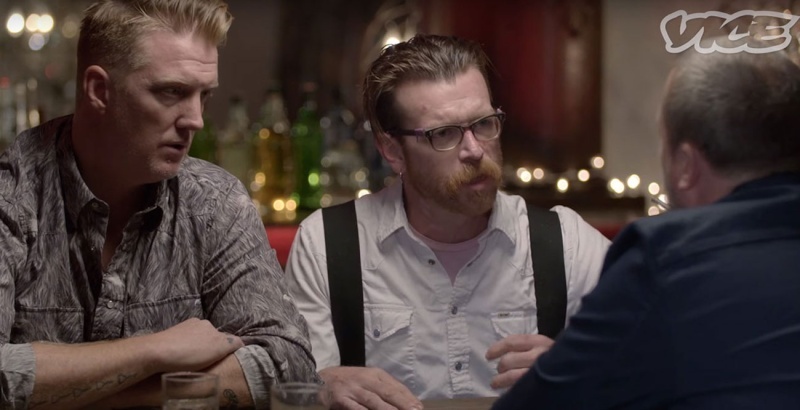 Around 1,000 people were believed to be there to watch American band Eagles of Death Metal. North of the venue, a gunman killed at least 11 people at a Cambodian restaurant and a nearby bar in the 10th arrondissement - not far from the offices of Charlie Hebdo. Eighteen people sitting at outdoor terraces were also killed on the Boulevard de Charonne in the 11th arrondissement. 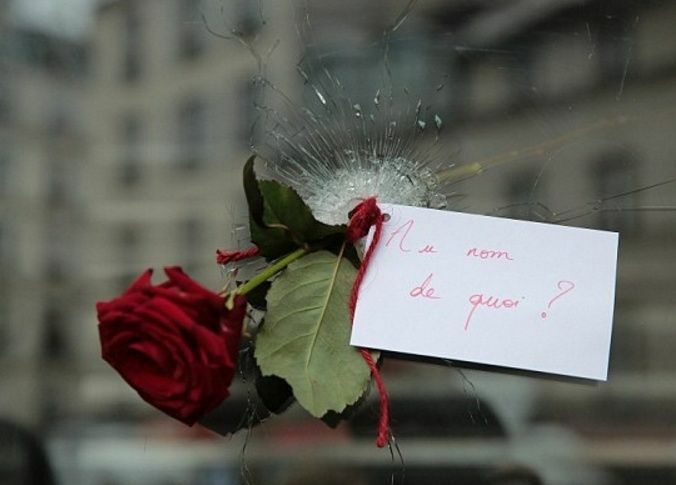 Another five people died on Rue de la Fontaine au Roi in the same district. The victims were reportedly at a pizza restaurant when they were killed. 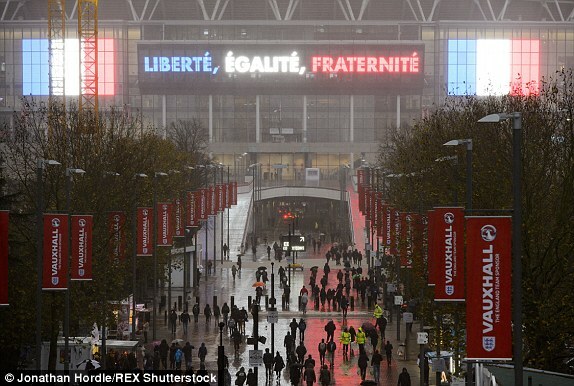 Around the same time, three bombings, including two suicide attacks, occurred near the Stade de France stadium, where the national football team had been playing Germany in a friendly match. Two of the blasts happened at entrances to the stadium and another at a nearby McDonald's restaurant. Three people were killed, according to a police union official. 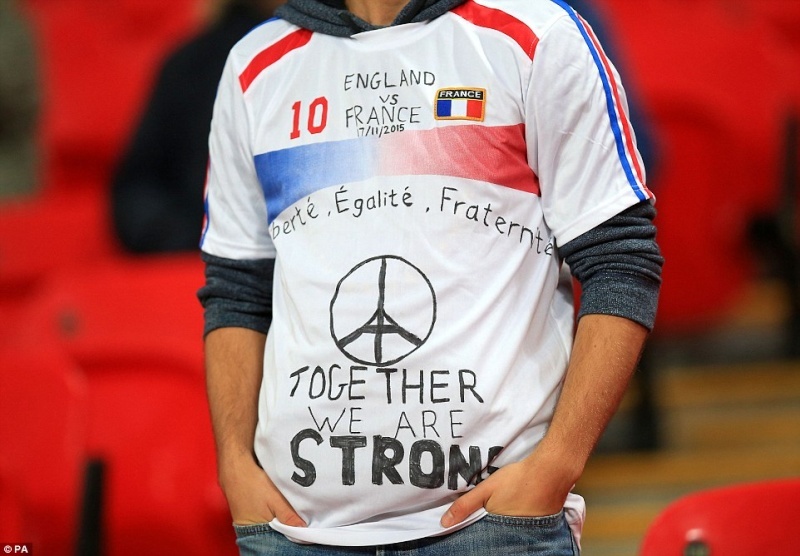 Mr Hollande was inside the stadium at the time, but rushed to the interior ministry to deal with the unfolding crisis. 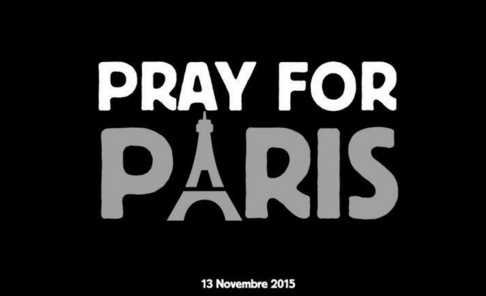 Residents of Paris were advised to stay home and several Metro lines were closed. However, queues of people wanting to donate blood in the capital formed, while others have been delivering flowers and messages to the scenes. Around 1,500 soldiers have been mobilised to protect official buildings, schools and universities. Disneyland Paris has shut for the day and all sporting events have been cancelled. Mr Hollande earlier said the country's borders were being shut, but officials later clarified they were just re-imposing border checks which had been removed after Europe created its free-travel zone in the 1980s. US President Barack Obama described the attacks as an "outrageous attempt to terrorise civilians". A "shocked" David Cameron has said Britain must be prepared for a "number of British casualties". The Prime Minister will chair a meeting of the Cobra emergency committee today. Britain's threat level has not changed - it has been at "severe" since August 2014, meaning a militant attack is considered likely. France has been on edge since deadly attacks by Islamic extremists in January on satirical newspaper Charlie Hebdo and a kosher grocery store that left 20 dead, including the three attackers. It was just a friday night at a rock show. the atmosphere was so happy and everyone was dancing and smiling. and then when the men came through the front entrance and began the shooting, we naiively believed it was all part of the show. It wasn't just a terrorist attack, it was a massacre. Dozens of people were shot right infront of me. Pools of blood filled the floor. Cries of grown men who held their girlfriends dead bodies pierced the small music venue. Futures demolished, families heartbroken. in an instant. Shocked and alone, I pretended to be dead for over an hour, lying among people who could see their loved ones motionless..
Holding my breath, trying to not move, not cry - not giving those men the fear they longed to see. I was incredibly lucky to survive. But so many didn't. The people who had been there for the exact same reasons as I - to have a fun friday night were innocent. This world is cruel. And acts like this are suppose to highlight the depravity of humans and the images of those men circuling us like vultures will haunt me for the rest of my life. The way they meticoulsy aimed at shot people around the standing area i was in the centre of without any consideration for human life. i expected any moment for someone to say it was just a nightmare. But being a survivor of this horror lets me able to shed light on the heroes. I truly believed the boy i loved was dead, to the injured man who i had mistaken for him and then on my recognition that he was not Amaury, held me and told me everything was going to be fine despite being all alone and scared himself, to the woman who opened her doors to the survivors, to the friend who offered me shelter and went out to buy new clothes so i wouldnt have to wear this blood stained top, to all of you who have sent caring messages of support - you make me believe this world has the potential to be better. to never let this happen again. but most of this is to the 80 people who were murdered inside that venue, who weren't as lucky, who didnt get to wake up today and to all the pain that their friends and families are going through. I am so sorry. There's nothing that will fix the pain. I feel priviledged to be there for their last breaths. And truly beliving that I would join them, I promise that their last thoughts were not on the animals who caused all this. It was thinking of the people they loved. As i lay down in the blood of strangers and waiting for my bullet to end my mere 22 years, I envisioned every face that I have ever loved and whispered I love you. over and over again. reflecting on the highlights of my life. Wishing that those i love knew just how much, wishing that they knew that no matter what happened to me, to keep belieivng in the good in people. to not let those men win. Last night, the lives of many were forever changed and it is up to us to be better people. to live lives that the innocent victims of this tragedy dreamt about but sadly will now never be able to fulfil. RIP angels. You will never be forgotten. Attentats : Madonna pleure et interprète une déchirante " Vie en rose"
VIDÉO. La star américaine a entonné samedi soir à Stockholm la célèbre chanson d'Édith Piaf pour rendre hommage aux victimes des attentats de Paris. Madonna a chanté en français, seule à la voix s'accompagnant à la guitare, "La Vie en rose", samedi soir à Stockholm, pour rendre hommage aux victimes des attentats de Paris. " 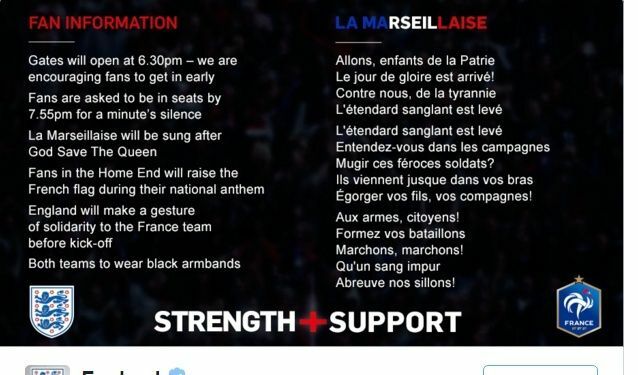 Nous avons observé une minute de silence pour les victimes et leurs proches à Paris", a raconté à l'Agence France-Presse une spectatrice, Maria Palm, à l'issue du concert au Tele 2 Arena de Stockholm. "J'ai besoin de prendre un moment pour évoquer la tragédie, le carnage tragique, ces assassinats, et la fin absurde de vies précieuses hier soir à Paris", a dit Madonna, qui se produisait pour un concert unique en Suède. La star a expliqué avoir hésité à annuler cette étape européenne du "Rebelheart Tour" à laquelle plus de 40 000 personnes ont assisté, vingt-quatre heures après les attaques terroristes survenues dans la capitale française. "Je suis déchirée (...) alors que les gens pleurent la perte d'êtres chers", a-t-elle lancé, en sanglots. "Mais c'est exactement ce qu'ils veulent (les auteurs des attentats), ils veulent nous réduire au silence. Nous ne nous laisserons pas faire, nous ne nous laisserons jamais faire", a conclu l'interprète de "Like a prayer", avant d'entonner, seule sur une petite guitare aux accents de yukulélé, "La Vie en rose", titre le plus célèbre d'Édith Piaf. Madonna doit donner deux concerts les 9 et 10 décembre à Bercy. Les attentats de Paris, les plus meurtriers jamais commis en France, ont fait au moins 129 morts et 352 blessés. 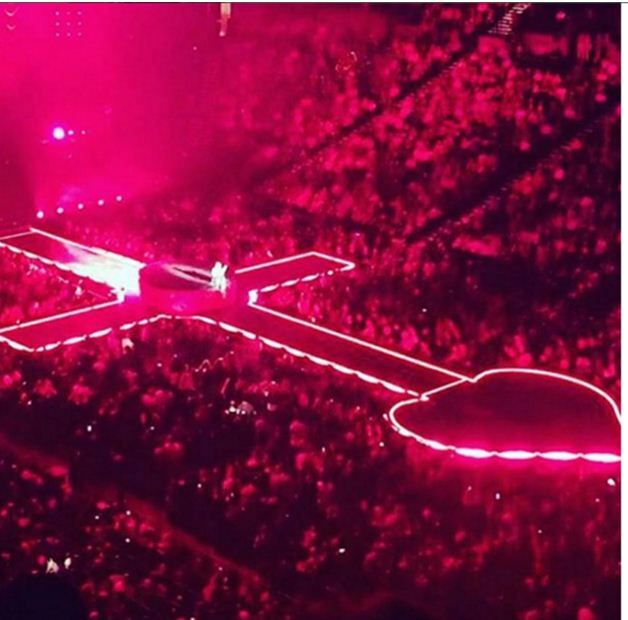 MADONNA halted a concert in Sweden to pay tribute to the victims of the Paris terror attacks. 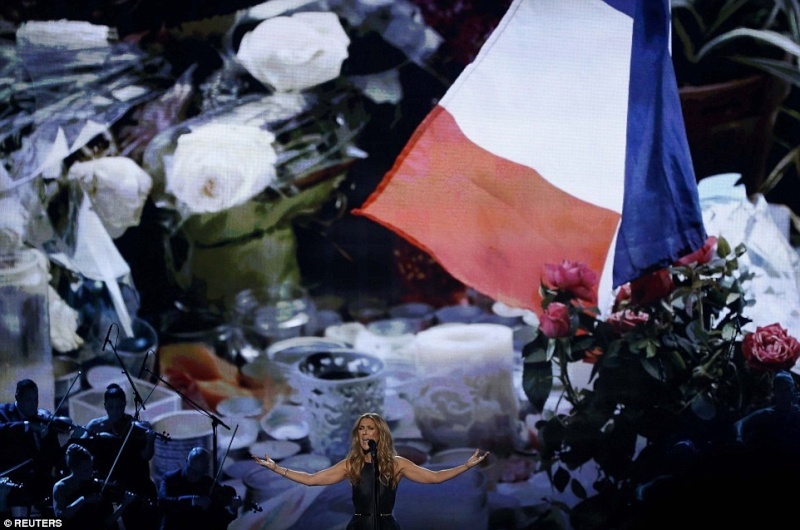 The singer, 57, made an emotional, six-minute speech on Saturday night after revealing that she considered cancelling the gig out of respect for the 129 victims of the atrocities in France. The visibly upset star was handed a tissue to wipe away tears after admitting that she was finding performing on stage “very hard”, adding “I need to take a moment to acknowledge the tragedy”. After her emotional speech, she called on the audience to join her in a minute’s silence, before performing an acoustic version of her hit song Like A Prayer. Posting on Instagram after the concert, she said that she felt like she was "turning darkness into light". 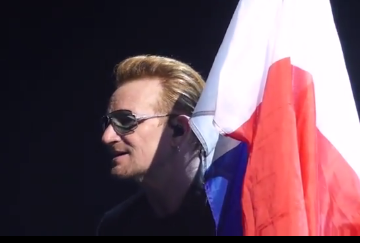 She is not the only star who has paid tribute to the victims, with the Foo Fighters cancelling gigs out of respect and all four members of U2 leaving flowers at the scene of the Bataclan attacks. France fighting back against I.S. 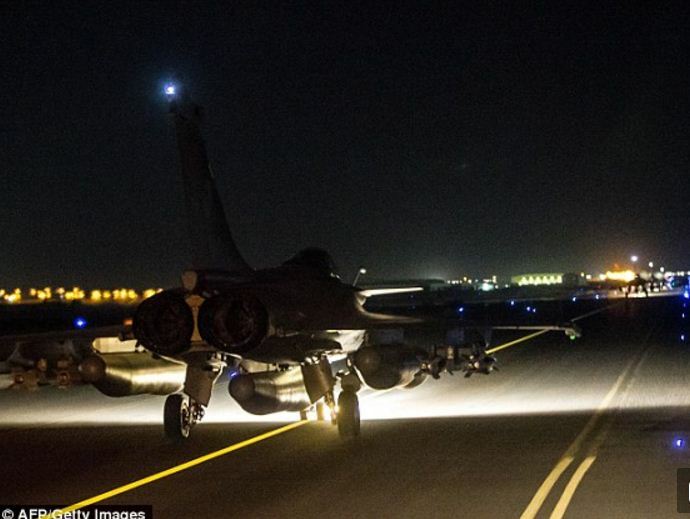 FRENCH fighter jets have reportedly launched their biggest raids in Syria to date, targeting the Islamic State's stronghold in Raqqa. The attacks come just two days after the group claimed coordinated attacks in Paris that killed more than 130 people, the government announced. 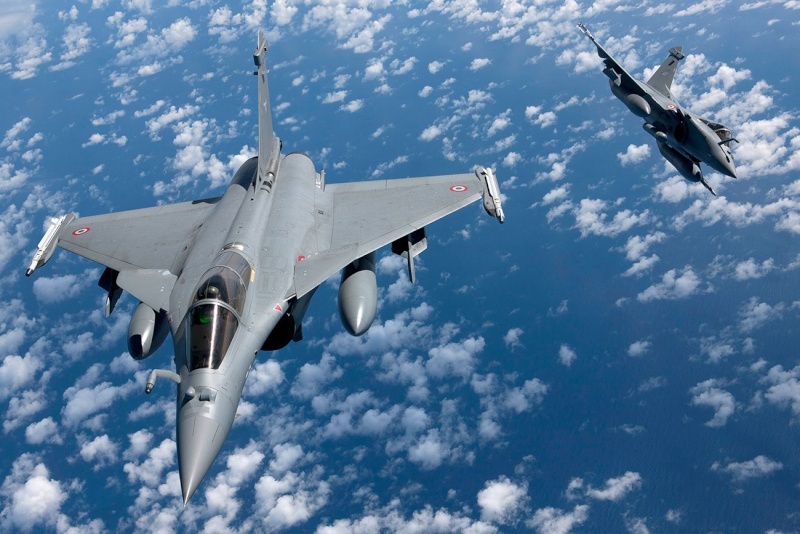 Reuters, quoting the French defence ministry, said: "The raid ... including 10 fighter jets, was launched simultaneously from the United Arab Emirates and Jordan. Twenty bombs were dropped", adding that the mission had taken place this evening. The statement went on: "The operation, carried out with US forces, struck a command centre, recruitment centre for jihadists, a munitions depot and a training camp for fighters." The peace symbol that united Paris and the rest of the world has appeared in the sky over France. A plane apparently drew the Peace for Paris picture this afternoon over Lyon to pay tribute to the 129 terror attack victims. 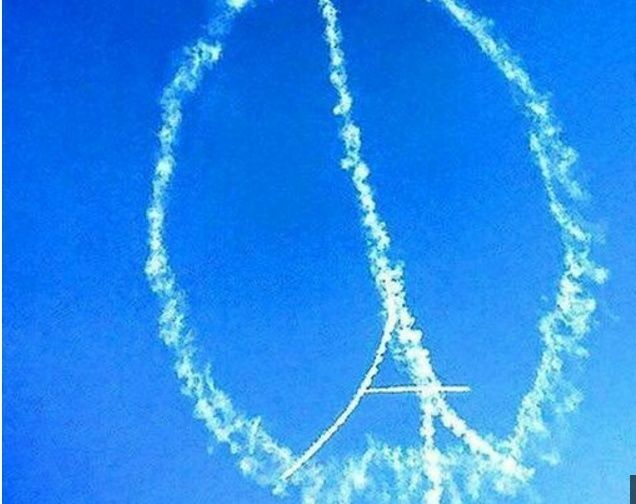 The painting, which merges the outline of the iconic Eiffel Tower with the CND peace symbol, was spotted in the blue sky by several Twitter users. They say the image appeared around 1.30pm UK time. 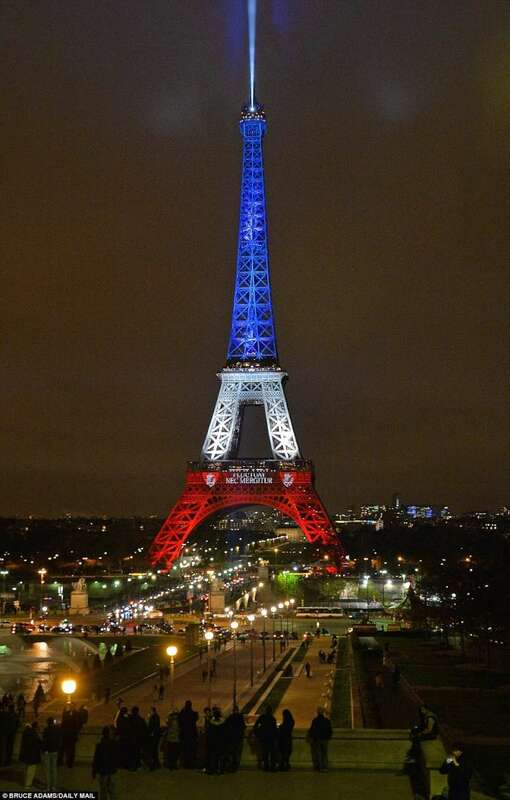 The symbol has become a beacon of hope following Friday's terrorist atrocities . Other Twitter users in the Lyon area spotted the image, which is formed by expelling special smoke during flight to create writing that's readable by someone on the ground. Software engineer Stephen Kitt, who is based in Rhône, France, also tweeted a picture of the symbol. Delphine Bourit, a graphic designer based in Lyon, said that the city was looking for peace in the sky. 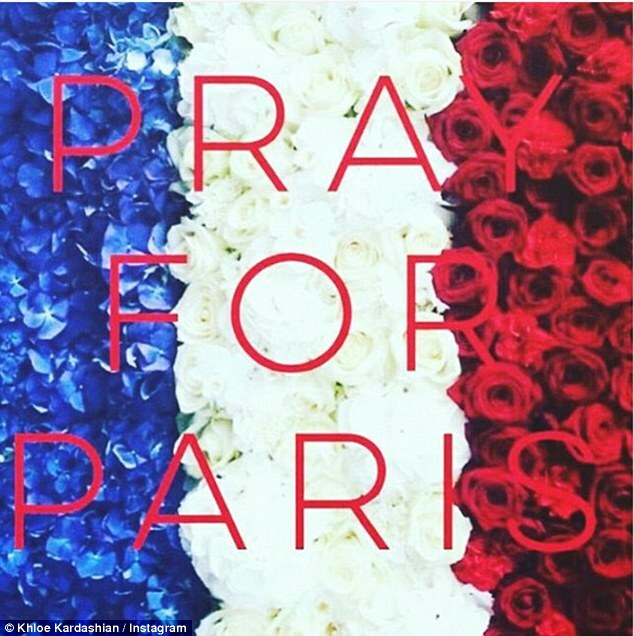 A 20-year-old student called Romane also shared the image she had captured of the incident with the popular #PrayforParis hashtag. 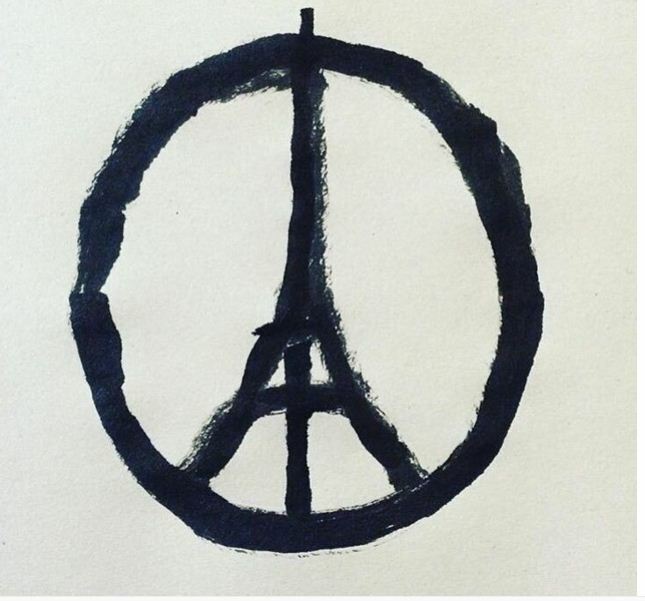 French illustrator Jean Jullien has spoken about creating the stark image after he heard the news about the Paris attacks on Friday night. He told NPR that he created the image as a response to the terror attacks but that he didn't want fame because of it. "You know, it's putting me in a spotlight that I don't necessarily want to be [in], because I don't want to benefit from this exposure, in the sense that it's a tragedy first and foremost," he added. Monday morning saw Europe take part in a minute's silence to remember the victims of the attacks and their families . 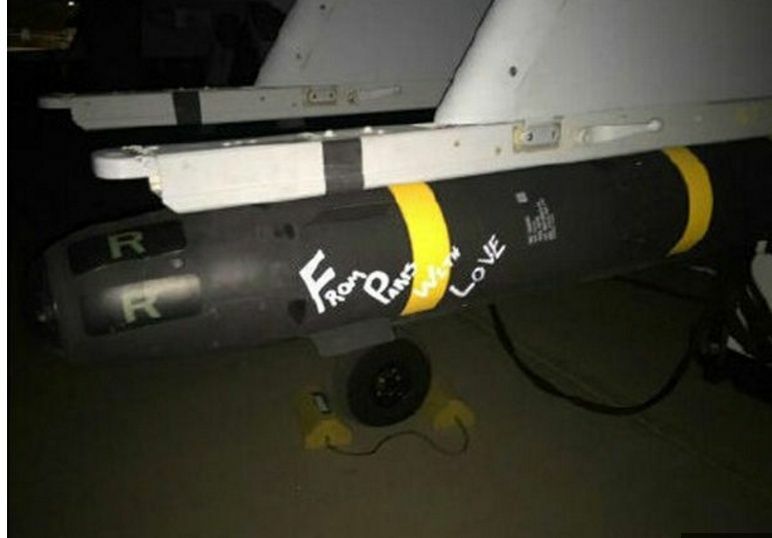 In retaliation to the barbaric attacks, France has dropped 20 bombs on an ISIS stronghold in Syria overnight as President Hollande vowed to destroy the terrorist group. Le terrorisme ne détruira pas la République, car c'est la République qui le détruira." Devant le Congrès lundi, François Hollande a fait une série d'annonces contre le terrorisme après les attentats. C'était un discours historique pour François Hollande. Pour la première fois de son quinquennat, le président de la République s'est exprimé lundi, pendant environ 45 minutes, devant les sénateurs et les députés, au Congrès de Versailles. "Nous voulons investir la République de toute la force nécessaire pour lui permettre d'éradiquer les terroristes", a-t-il déclaré. Deux jours après les attentats de Paris, il a fait une série d'annonces visant à renforcer la sécurité dans le pays. Comme cela était attendu, François Hollande a fait part aux parlementaires de son intention de prolonger l'état d'urgence à trois mois. Déclaré dans la nuit de vendredi à samedi, il permet de prendre des mesures exceptionnelles sur l'ensemble du territoire et n'avait pas été mis en place dans une telle mesure depuis la guerre d'Algérie. Dès mercredi, les parlementaires seront appelés à voter une loi en ce sens. Le président de la République a également fait part de sa volonté de modifier la Constitution pour permettre aux pouvoirs publics d'agir, conformément à l'Etat de droit, contre le terrorisme de guerre". Selon le président, l'article 16, qui régit les conditions d'attribution des pouvoirs exceptionnels au président, et l'article 36, qui porte sur l'état de siège, ne sont "pas adaptés à la situation que nous rencontrons". "Cette guerre d'un autre type face à un adversaire nouveau appelle un régime constitutionnel permettant de gérer l'état de crise", a-t-il estimé. Manuel Valls va s'atteler à cette tâche en concertation avec les parlementaires. Pour modifier le texte fondateur de la Ve République, François Hollande doit soit présenter son texte à un référendum ou obtenir une majorité des 3/5e au Congrès. Le président François Hollande a dit son souhait que la déchéance de nationalité puisse être possible pour les binationaux en cas de terrorisme. Cette déchéance ne doit "pas avoir pour résultat de rendre quelqu'un apatride", mais "nous devons pouvoir déchoir de sa nationalité française un individu condamné pour une atteinte aux intérêts fondamentaux de la Nation ou un acte de terrorisme, même s'il est né Français, dès lors qu'il bénéficie d'une autre nationalité", a-t-il dit. Cette proposition avait été faite par la droite depuis longtemps, et réitérée par Les Républicains après les attentats de janvier. Le président a également demandé qu'il soit possible "d'interdire à un binational de revenir sur notre territoire, s'il représente un risque terroriste, sauf à ce qu'il se soumette, comme le font nos amis britanniques, à un dispositif de contrôle draconien". "Le pacte de sécurité doit l'emporter sur le pacte de stabilité", a lancé François Hollande qui prévoit de mettre en péril ses objectifs budgétaires pour créer des milliers de postes dans la police, la gendarmerie et la justice. Dans le détail, 5000 postes seront créés dans la police et la gendarmerie dans les deux ans, portant à 10 000 le nombre d'emploi créés dans les forces de l'ordre pendant le quinquennat. Par ailleurs, 2500 postes seront créés dans la justice, notamment dans l'administration pénitentiaire, et 1000 dans les douanes. En plus de ces créations de postes, François Hollande a annoncé qu'aucun ne serait supprimé dans la Défense d'ici 2019.
. Il ne s'agit pas de contenir, mais de détruire cette organisation", a déclaré François Hollande. Dimanche déjà, l'armée française avait opéré des frappes "massives" contre des positions de l'organisation Etat islamique à Raqqa en Syrie. "Nous poursuivrons ces frappes au cours des semaines à venir", a-t-il indiqué devant le Congrès lundi. Le chef de l'Etat a, pour la première fois, plaidé pour une coalition commune avec la Russie, qui est engagée en Syrie aux côtés de l'armée de Bachar El-Assad. Il a donc annoncé qu'il allait rencontrer Vladimir Poutine et Barack Obama dans les prochains jours. 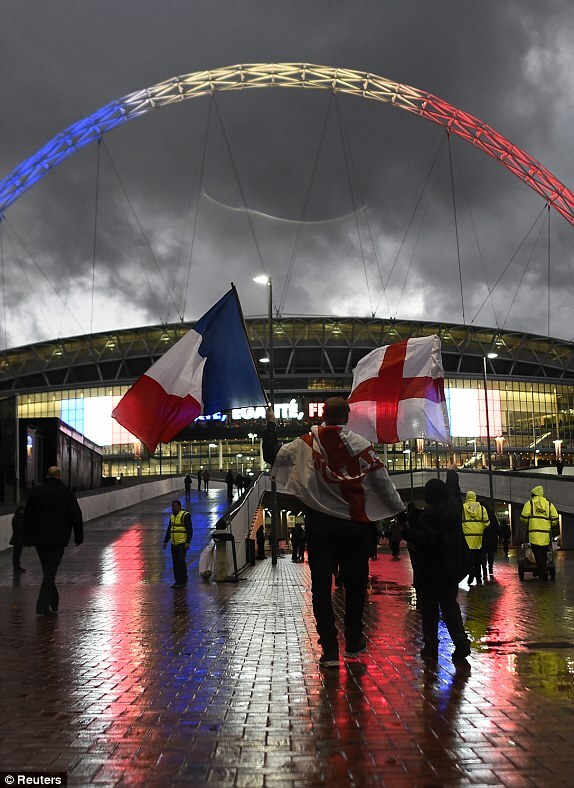 "Le bateau est battu par les flots mais ne sombre pas"
For the first time since the terrible Paris attacks on Friday, the French national team are back in action as they are welcomed to Wembley by England ahead of their international friendly. 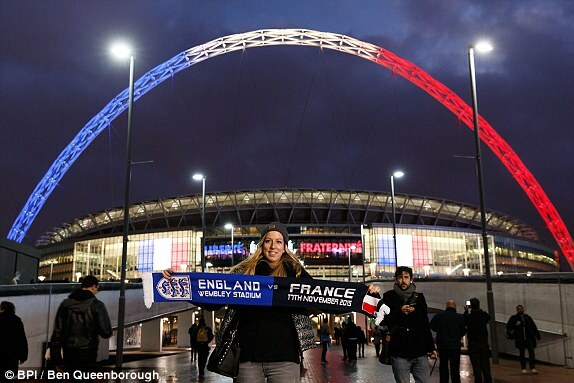 It is poised to be an emotional night inside the stadium, as a game scheduled to be part of England's build up to Euro 2016 will now be an occasion for a sold-out Wembley crowd to show their support for the nation of France and the victims of the terrorist attacks. La mort de cette chienne de race malinoise, mercredi, a ému nombre d'internautes. La nouvelle a ému de nombreux internautes. 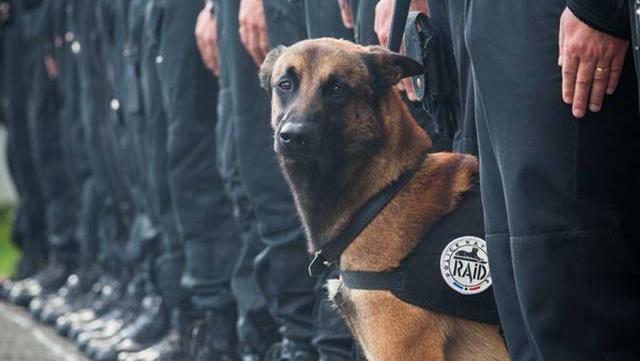 Diesel, une chienne de race malinoise, âgée de 7 ans, a été tuée lors de l'assaut mené par les forces de l'ordre à Saint-Denis (Seine-Saint-Denis), mercredi 18 novembre. 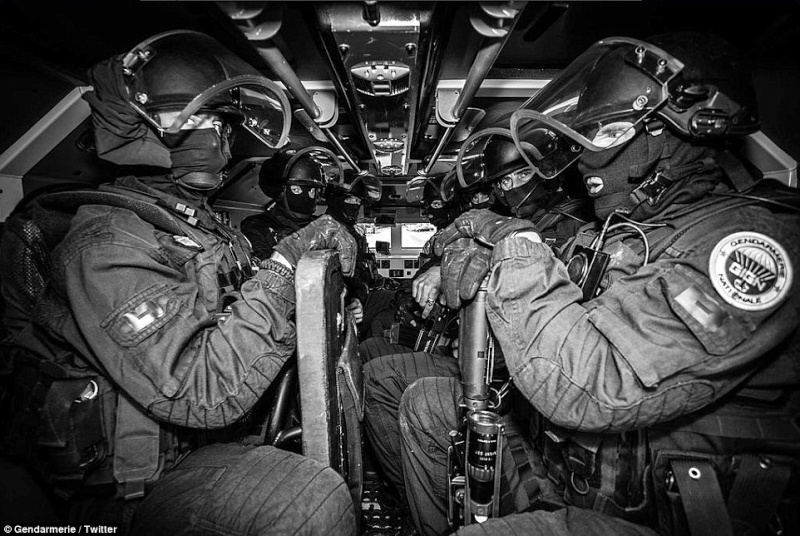 La nouvelle a été communiquée par la police nationale, sur son compte Twitter, avant de faire l'objet d'un hommage virtuel, avec le mot-dièse #jesuisunchien. Après avoir tenté de forcer la porte blindée, une violente fusillade éclate entre les hommes du Raid et les terroristes présumés, puis la tension retombe. "Après un long moment sans tir, on décide d'envoyer un chien pour qu'il fasse une reconnaissance des lieux", a indiqué le patron du Raid, interrogé par Le Figaro. "Malheureusement, Diesel, un chien d'attaque, est tué à la Brenneke", une marque de balles de fusil. A l'occasion des 30 ans du Raid, à la fin octobre, Le Parisien avait consacré un reportage sur le dressage de ces animaux, à Bièvres (Essonne). "Nous avons quinze chiens opérationnels, précisait un responsable de l'unité cynotechnique, dont dix dédiés à la recherche de matières explosives et cinq dédiés à l'assaut – des chiens de mordant." Les animaux pèsent de 25 à 30 kg en moyenne. Ces derniers sont considérés comme un "élément décisif pour neutraliser un individu retranché, déterminé à en découdre avec la police", explique ainsi le commissaire Richard Marlet, auteur de Profession : chien-policier, interrogé par Le Figaro. Diesel faisait donc partie d'un cercle très restreint d'animaux d'élite. Un poste très exposé. En 2011, un chien nommé Frax a perdu la mâchoire inférieure lors d'un assaut mené contre un forcené, à cause d'un tir de fusil. Au-delà du dressage, l'unité cynotechnique tente sans cesse de faire évoluer sa technologie. L'une des difficultés est d'envoyer le chien vers la cible, sans qu'il ne se perde en chemin. Pour guider les animaux, les dresseurs utilisent parfois un robot, qui assure un retour image et permet surtout aux chiens de rallier leur objectif, grâce au son et à l'image émis par l'appareil. RUSSIA is sending a puppy to Paris to replace Diesel the French police dog who was tragically killed in action by jihadis. In a show of solidarity, the Russian interior ministry is sending Dobryna – a German Shepherd – as a gift to their French colleagues. 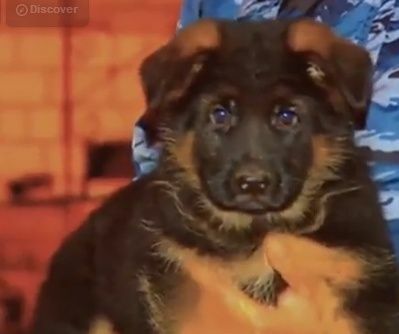 Interior ministry spokeswoman Elena Alekseyeva said: "The police puppy’s name is Dobrynya. “He was named after a Russian knight, Dobrynya, a symbol of strength, kindness, valour and selfless help. 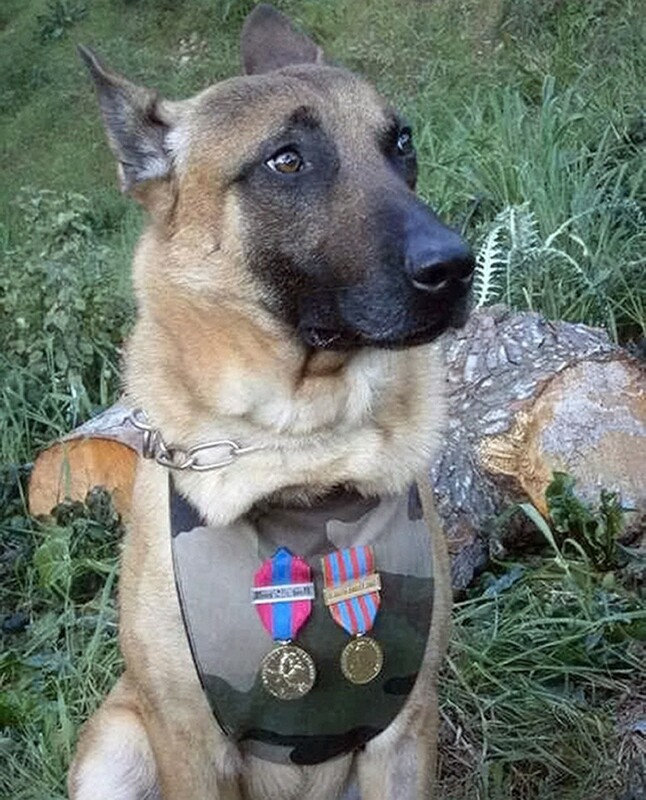 Hero hound Diesel, a member of the elite French anti-terror unit, was killed when a suicide bomber detonated their vest during a siege on the flat where some of the Paris attackers were hiding. The pup almost certainly saved the lives of several cops as they targeted the mastermind Abdelhamid Abaaoud. Thousands of people around the world paid tribute to the seven-year-old Belgian Malinois on social media using the hashtag #JeSuisDiesel. THE Eagles of Death Metal have spoken for the first time about the horrific massacre at the Bataclan concert hall in Paris. Frontman Jesse Hughes described how fans hid in his dressing room after the opening hail of bullets. But they were all found and murdered - except for a child hiding under his leather jacket. The band were speaking to Vice News, which only released a 55-second preview of the band’s first interview since the tragedy. 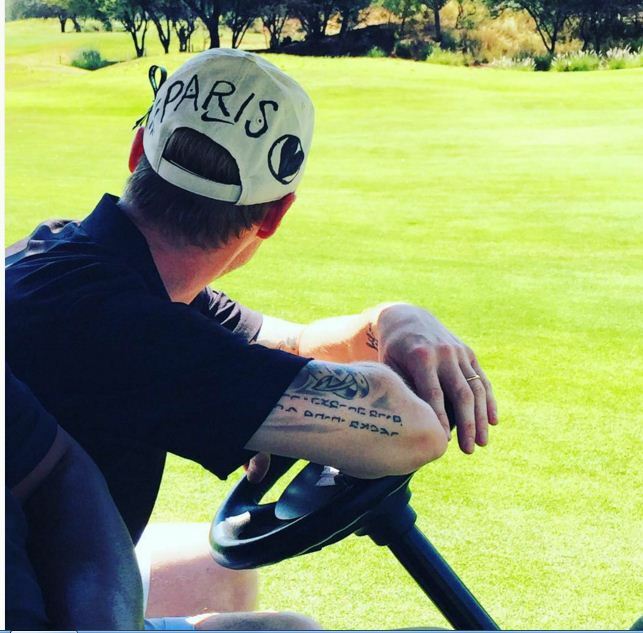 Sitting alongside bandmate and Queens of the Stone Age frontman Josh Homme, who was not at the concert, Hughes fought back tears as he told of how so many died because they refused to leave their friends. "People were playing dead and they were so scared. “A great reason so many were killed was because so many people wouldn't leave their friends. “So many people put themselves in front of people." The band fled the stage and managed to escape unharmed as jihadi gunmen slaughtered 89 of their fans during the gig last Friday in attacks on the French capital which left 130 people dead across the city. 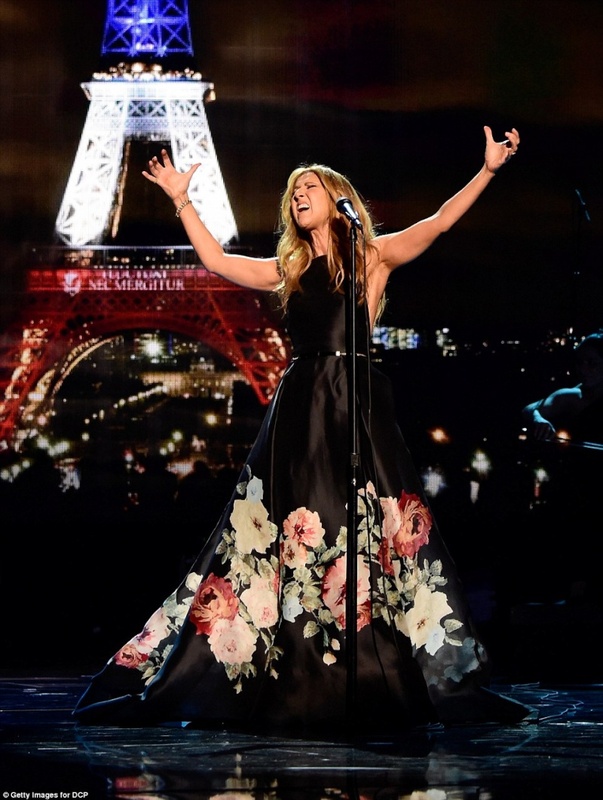 The Canadian songstress performed a soaring rendition of the French classic as a montage of Paris landmarks, including the the Louvre and the Arc de Triomphe, played behind her. Images of candlelight vigils and the capital city uniting following the terror attacks that killed 130 people last Friday were also included in the video. Multiple guests of the American Music Awards were shown wiping away tears as they watched Celine's powerful performance. As the grand finale neared Celine raised her arms in the air, her incredible voice soaring for the final note as an image of the Eiffel Tower lit up in the French flag's colors appeared behind her. 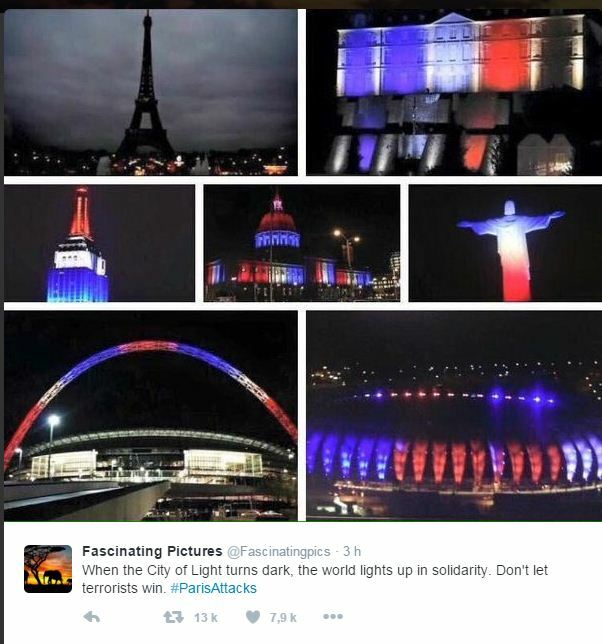 American Music Awards producer Larry Klein said the show decided to include a tribute to Paris to show solidarity. 'Celine's performance will help us express our feelings through songs, when words do not suffice,' Klein told Billboard. Piaf wrote Hymne a l'Amour in 1949 for the love of her life boxer Marcel Cerdan, who was killed only months later while flying to New York from Paris to visit her. Celine was introduced by Jared Leto, who said his band 30 Seconds to Mars had played at the Bataclan months before 89 people last Friday during an Eagles of Death Metal show. 'It was beautiful, peaceful and unforgettable,' Leto said of the band's impromptu summer show. Leto then paid tribute to his friend Thomas Ayad, who was killed in the massacre, before quoting from a viral Facebook post written by a man who also lost his wife at the concert hall. Leto then continued by saying tonight they would honor victims of the 'unimaginable violence' that has taken place in Paris and all over the world. Leto concluded by touching upon the recent Syrian refugee crisis in the US. He told the audience that many in the country were 'sons and daughters' of immigrants - including Steve Jobs and President Obama. 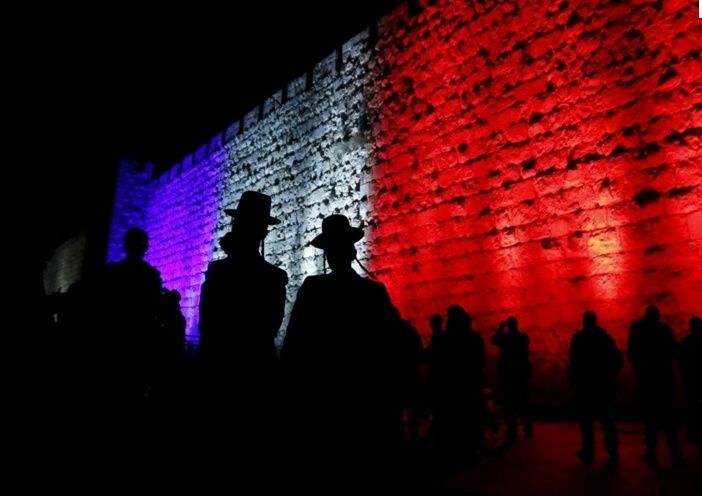 Le chef de l'Etat invite les Français à accrocher un drapeau bleu-blanc-rouge à leurs fenêtres, vendredi, pour rendre hommage aux victimes des attentats du 13 novembre. "Pavoiser" leur domicile. 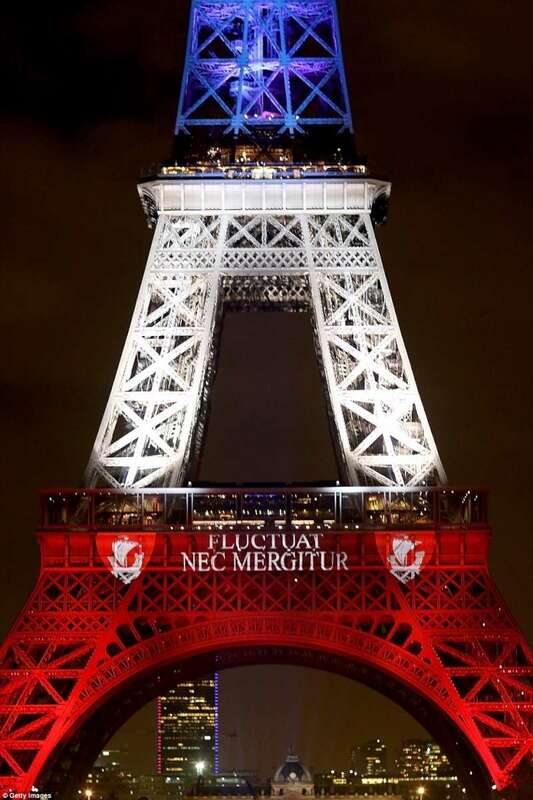 C'est avec cette formule - littéralement "garnir de drapeaux" - que le chef de l'Etat a invité les Français à rendre hommage, vendredi, aux victimes des attentats du 13 novembre dernier. Le jour de l'hommage national, qui sera rendu aux Invalides, François Hollande espère donc voir une foule de drapeaux tricolores accrochés aux fenêtres a annoncé le porte-parole du gouvernement, Stéphane Le Foll. Le chef de l'Etat a "indiqué que chaque Français pourrait y participer aussi en ayant la possibilité de pavoiser son lieu d'habitation avec un drapeau bleu blanc rouge, les couleurs de la France", a déclaré M. Le Foll devant la presse à l'issue du Conseil des ministres. 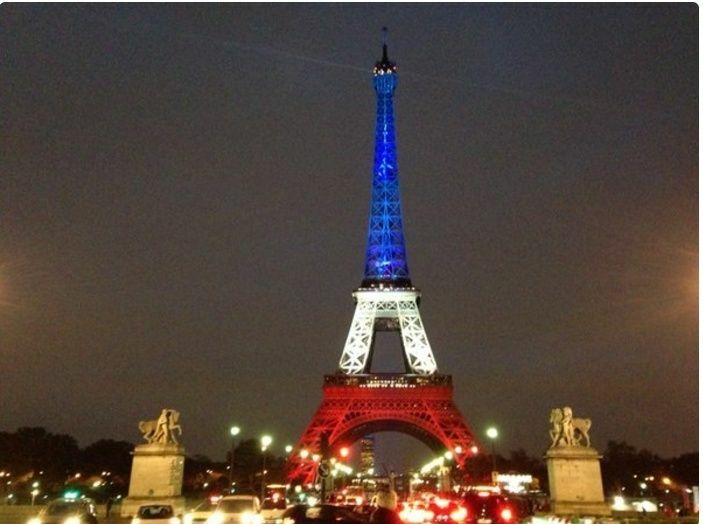 Le drapeau français a pris un "coup de jeune" après les attentats de Paris, incarnant le symbole d'une société libre et ouverte, mais menacée par les djihadistes, qui se rajoute à son interprétation traditionnelle, plus patriotique et sécuritaire. 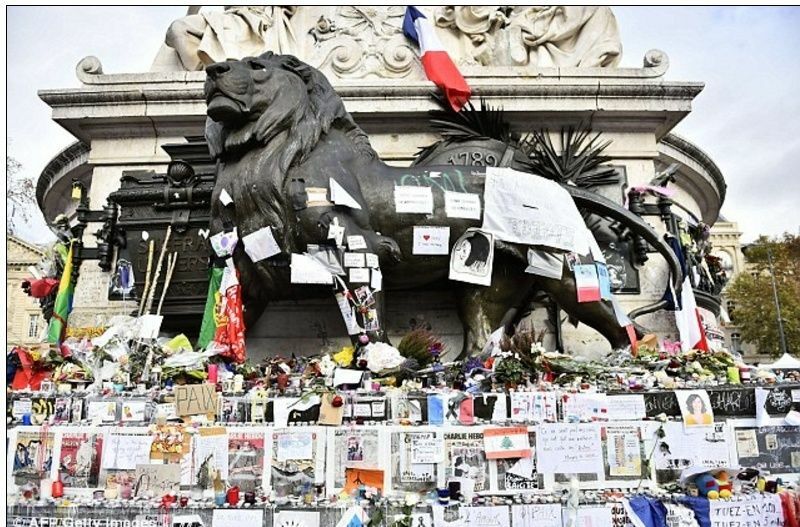 Après les attentats, qui ont fait au moins 130 morts, de nombreux monuments dans le monde se sont drapés d'éclairages tricolores en solidarité avec la France. Les drapeaux, dont les ventes ont explosés, ont fleuri ailleurs: d'une part, sur les réseaux sociaux. Facebook a ainsi proposé à ses abonnés de glisser un filtre tricolore, critiqué par certains, sur leurs portraits. Sur les lieux des attentats, d'autres part, aux côtés des montagnes de fleurs et des messages d'hommage aux victimes. Après le choc des attentats, après la tristesse et le deuil, l'hommage national rendu aujourd'hui aux 130 morts des attaques terroristes et aux 350 blessés. "Ils étaient la jeunesse de la France": deux semaines jour pour jour après les attentats de Paris et de Saint-Denis, François Hollande a rendu hommage aux Invalides aux 130 morts et quelque 350 blessés dénombrés lors d'attaques jihadistes sans précédent. Le président a dénoncé vendredi dans ses premiers mots marquant l'hommage national aux 130 victimes des attentats du 13 novembre "une horde d'assassins" ayant agi "au nom d'une cause folle et d'un Dieu trahi". "Dans un acte de guerre organisé de loin et froidement exécuté, une horde d'assassins a tué 130 des nôtres et en a blessé des centaines au nom d'une cause folle et d'un Dieu trahi. Aujourd'hui, rassemblée, la Nation pleure ses victimes", a déclaré le chef de l'Etat dans la cour d'honneur de l'hôtel des Invalides. "C'est parce qu'ils étaient la vie qu'ils ont été tués. C'est parce qu'ils étaient la France qu'ils ont été abattus, c'est parce qu'ils étaient la liberté qu'ils ont été massacrés", a-t-il déclaré, en rappelant que les victimes tuées dans la salle de concert du Bataclan et aux terrasses de café de Paris "venaient de plus de cinquante communes de France". "Ils venaient de nos villes, de nos banlieues, et de nos villages", a souligné François Hollande. "Ils venaient aussi du monde. Dix-sept pays portent aujourd'hui avec nous le deuil", a-t-il ajouté. "Nous ne céderons ni à la peur, ni à la haine", a déclaré François Hollande. "Ceux qui sont tombés le 13 novembre incarnaient nos valeurs, et notre devoir est plus que jamais de les faire vivre. Nous ne céderons ni à la peur, ni à la haine. Et si la colère nous saisit, nous la mettrons au service de la calme détermination à défendre la liberté", a déclaré le président de la République. 10h36 - "Quand on a que l'amour" de Jacques Brel chanté dans la cour des Invalide chanté par un trio Yaël Naïm, Camélia Jordana et Nolwenn Leroy. Des portraits de victimes sont diffusés sur le grand écran installé dans la cour. 10h35 - Une minute de silence est respectée. François Hollande sera le seul à prendre la parole. 10h30 - Le président de la République fera son entrée aux Invalides dans quelques minutes. Après les honneurs militaires rendus par la garde républicaine et une Marseillaise, les noms des 130 personnes tuées dans les attentats devaient être égrenés, leurs photos projetées sur un grand écran noir. "Il est important que l'on prononce le nom de chacune des victimes (...) dont les visages, dont la vie, incarnaient cet idéal de culture, cet idéal de fête, cet idéal de partage, cet idéal d'amour", a souligné vendredi Jack Lang, l'ancien ministre de la Culture de François Mitterrand. 10h20 - La cérémonie commencera dans quelques minutes. Manuel Valls vient d'arriver. François Hollande est attendu sur place. ourd'hui ils sont appelés à pavoiser, à décorer leurs fenêtres et leurs balcons de drapeaux tricolores. Mais ils n'ont pas attendu l'appel du président de la République pour brandir ces drapeaux sur les lieux des drames, pour déposer bougies et fleurs et pour donner leur sang pour les blessés. 10h00 - L'Union Nationale - Les personnalités politiques de tous bords commencent à arriver aux Invalides. Sont notamment invités Jean-Christophe Cambadélis (PS), Valérie Pécresse et Nathalie Kosciusko-Morizet (Les Républicains), Marine Le Pen (FN) et Nicolas Dupont-Aignan (Debout la France). 09h55 - Le recteur de la grande mosquée de Paris Dalil Boubakeur a appelé pour sa part tous les imams de France à s'associer vendredi à une "prière solennelle" en hommage aux victimes. 130 personnes sont mortes dans les attentats qui ont frappé la France. 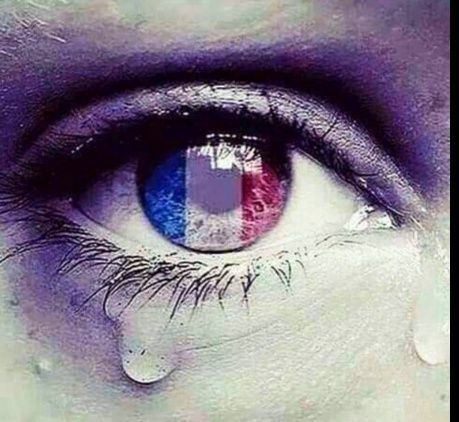 130 morts auxquels la France rende hommage aujourd'hui. 130 familles endeuillées. Nous avons rencontré des proches de victimes qui ont accepté de témoigner. 09h40 - Une vaste tribune a été érigée dans la cour pour accueillir, outre les proches des victimes et les blessés, les membres du gouvernement et le représentants de "l'ensemble des autorités de l'Etat prévues par le protocole de la République", selon la présidence. Tout a commencé vendredi 13 novembre, aux alentours de 21h30. Il faisait doux dans la capitale, il y avait du monde en terrasse. Le Bataclan était plein, une foule de fans dansait sur les chansons des Eagles of Death Metal et au Stade de France, des hommes, des femmes, des enfants étaient venus assister à un match amical entre la France et l'Allemagne. Rappel des faits. 09h20 - Le président de la République fera son entrée aux Invalides à 10H30 précises. Après les honneurs militaires qui lui seront rendus par un détachement de la Garde républicaine et une Marseillaise, les noms des 130 personnes tuées dans les attentats seront égrenés. Les victimes avaient 35 ans en moyenne. Mais François Hollande adressera plus largement encore "un message à la France puisque c'est un mode de vie, des valeurs, une histoire et une culture qui ont été frappés le 13 novembre"
09h00 - L'ancien ministre socialiste Jack Lang estime ce matin que "c'est une certaine forme de mode de vie, de civilisation" que les auteurs des attentats de Paris "ont voulu assassiner". On est touché au coeur, au coeur de ce que nous sommes, en France en tout cas. 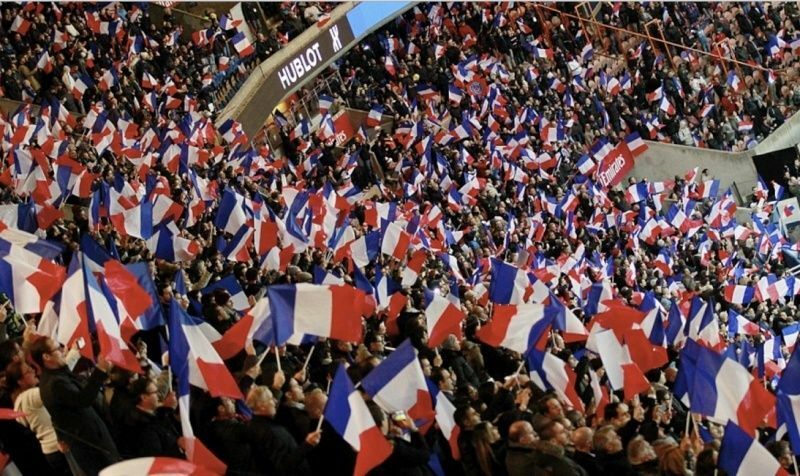 Cette passion qui est la nôtre, pas seulement la France, mais beaucoup en France, cette passion de l'art, du savoir, de la culture, le goût de se retrouver et de respirer librement, de s'aimer, de se parler, d'être tout simplement vivant dans une ville vivante". 8h40 - Deux semaines jour pour jour après les attentats de Paris et de Saint-Denis, la France rend un hommage "national et solennel", vendredi aux Invalides, aux 130 morts et quelque 350 blessés dénombrés lors de ces attaques jihadistes. Plus de 2.000 personnes sont attendues dans la cour d'honneur pour cette cérémonie présidée par François Hollande, à commencer par les familles des victimes et des blessés. L'Elysée a souhaité une cérémonie de près d'une heure, "sobre, grave et solennelle". 8h00 - Le gouvernement a lancé jeudi soir une initiative pour encourager les internautes à "pavoiser le web" de selfies tricolores, à l'occasion de la cérémonie national d'hommage aux victimes des attentats du 13 novembre prévue vendredi aux Invalides. Le service d'information du gouvernement (SIG) suggère de poster les selfies sur les réseaux sociaux dès 08H00 vendredi avec le hashtag #FiersDeLaFrance et de les mettre en photo de profil. Pour ceux qui ne possèdent pas de drapeau, le SIG propose de télécharger une "version haute définition" du drapeau à imprimer à l'adresse: http://www.gouvernement.fr/drapeau-francais. UNDER a cold, iron-clad sky they came with warmth in their hearts to remember their beloved. 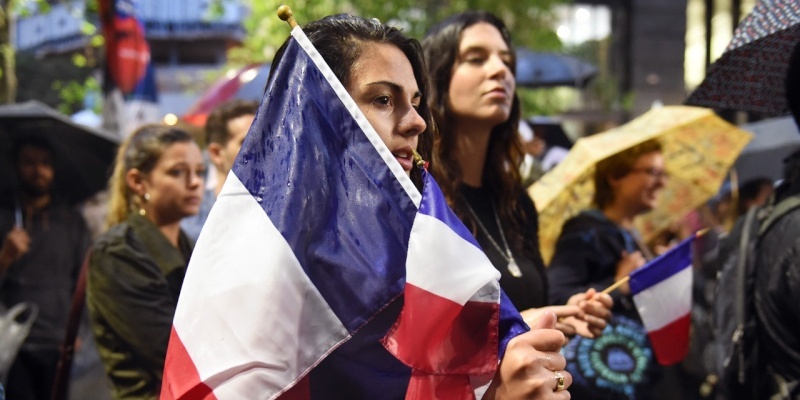 They were remembering the 130 people killed in the Paris terrorist attacks at a memorial ceremony in the capital led by President François Hollande. 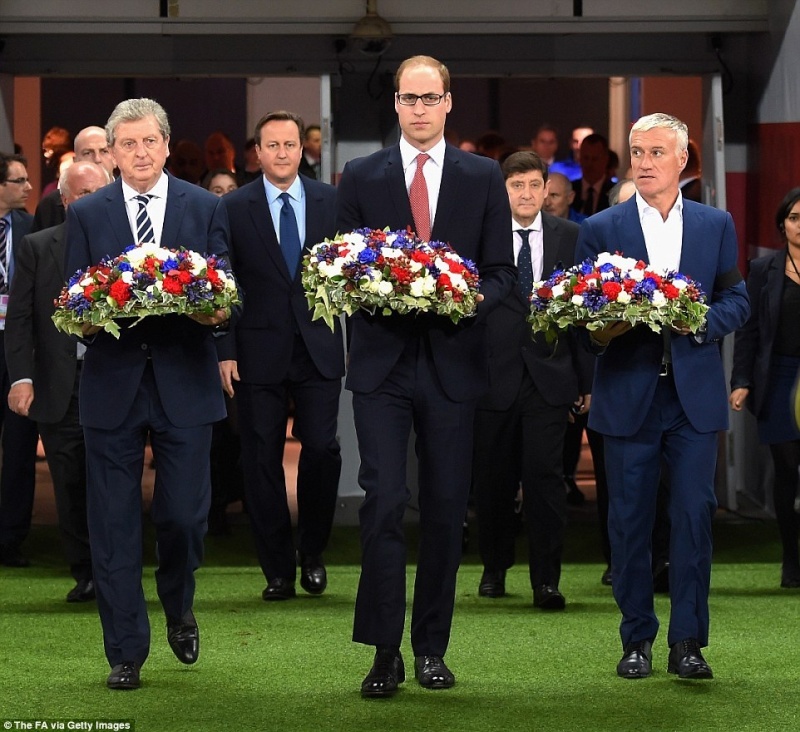 In a 16-minute address, Mr Hollande said: "On that day which we will never forget, France was dealt a cowardly blow. In an act of war, a horde of murderers killed 130 of our people and injured hundreds in the name of an insane cause and a betrayed religion." 'What do the terrorists want? To divide us, to turn us against each other. They have the cult of death, but we have love of life,' Mr Hollande said. He promised that France would "do everything to destroy the army of fanatics" of Isil but "will not cede to fear or hatred". The attackers, he said, were part of a "death cult". "Freedom does not seek to be avenged but to be served," he said, urging the nation to channel its anger into restoring peace and safeguarding "hope and tolerance". Hundreds of relatives, friends, the entire French government and leading members of the opposition stood in silence alongside wheelchair-bound survivors as a roll call of the dead was solemnly read out, with their names and ages, as their faces were beamed onto a giant screen. A minute's silence followed, and a solo cellist played the melancholic strains of Bach's Sarabande. The president arrived to a rendition of the national anthem, the Marseillaise, and the ceremony proceeded with two popular songs, chosen to try to echo the spirit of the young victims, 89 of whom were killed at the Bataclan concert hall when it was attacked on November 13. Three well-known female singers performed "Quand on n'a que l'amour" ("When All You Have is Love"), by the Belgian singer Jacques Brel, followed by "Perlimpinpin", one of the most famous songs composed by the French singer Barbara. president. It was an unusual act for a people not accustomed to displaying the national flag at home. 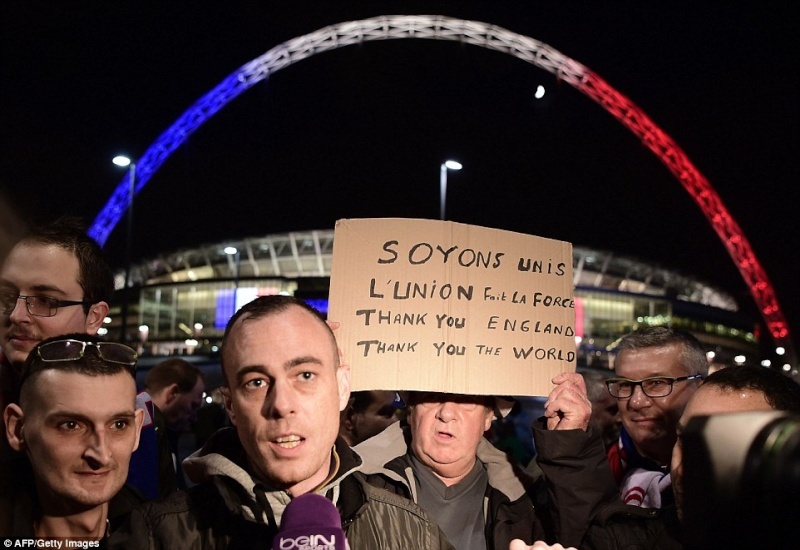 Others have attended the scenes of the attacks with the flag draped around their shoulders, reflecting growing patriotism in the aftermath of the November attacks, with a surge in applications to join the armed forces and the police. Often associated with the French far-Right, the tricolour has been firmly reclaimed in everyday life as a national, rather than a nationalist, symbol. The head of the centre-Right Republican party, former president Nicolas Sarkozy, attended the ceremony, as did the far-Right leader, Marine Le Pen. Mr Hollande had refused to invite her to march alongside French and world leaders after the Charlie Hebdo attacks. On this occasion, there was no controversy. However, few members of the public gathered near the ceremony and some relatives of the dead refused to attend. The father of the youngest of those killed, 17-year-old schoolgirl Lola Ouzounian, stayed away in protest against the "disastrous policy" of France and its "interference" in the Middle East and its role in toppling the Libyan dictator, Muammar Gaddafi. Eric Ouzounian, a journalist and documentary-maker, said France and its recent leaders "bear a heavy responsibility for what has happened". In an article published on the Huffington Post, Mr Ouzounian wrote: "France is incapable of offering its young people a future. Europe is incapable of lifting itself out of the liberalism in which it is bogged down. Our leaders are incapable of offering a political vision. "Our intellectuals, with a few exceptions, are incapable of getting away from their lucrative condition as media clowns. I am appalled by my country and I am devastated by the death of my daughter." Tatiana Correia, whose sister Precillia was killed, said Mr Hollande should offer "explanations" as "nothing was done after Charlie Hebdo and even today nothing is being done." The parents of British victim Nick Alexander, who were attending the ceremony, said in a statement: "Words cannot express the sadness we feel at the loss of our precious Nick. This is just the beginning of a long road where we will have to get used to the absence of his physical presence around us - a presence that we loved so much. The outpouring of love from around the world has been a great comfort to us and makes us even more proud to have had Nick as our son. "We extend our love and condolences to all those who have been affected by this indiscriminate act, and are proud to stand with them in unity at the memorial service on Friday." 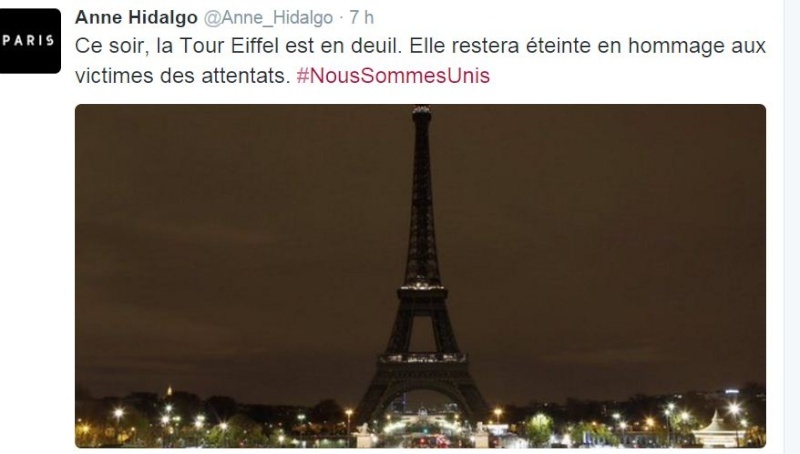 French people also used social media to pay their respects online, tweeting on the hashtag #HommageNational, and displaying the Tricolore flag with the hashtag #FiersdelaFrance, meaning proud of France. 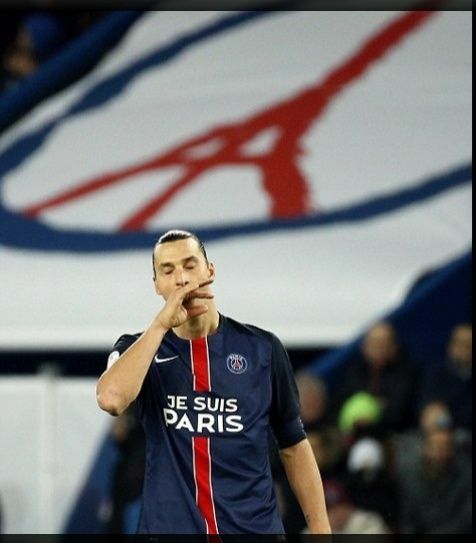 Saint-Germain players wore shirts saying 'Je suis Paris', with no other sponsorship. 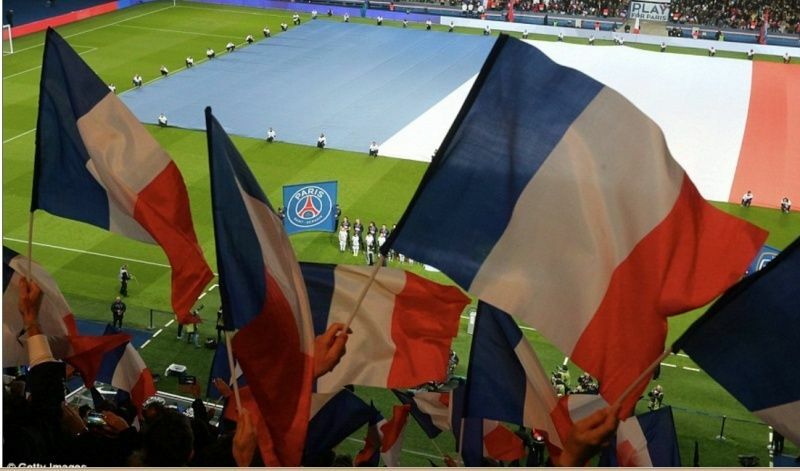 Silence descended over Paris Saint-Germain's first home match since as players and fans held a minute-long tribute to victims of the city's terror attack. 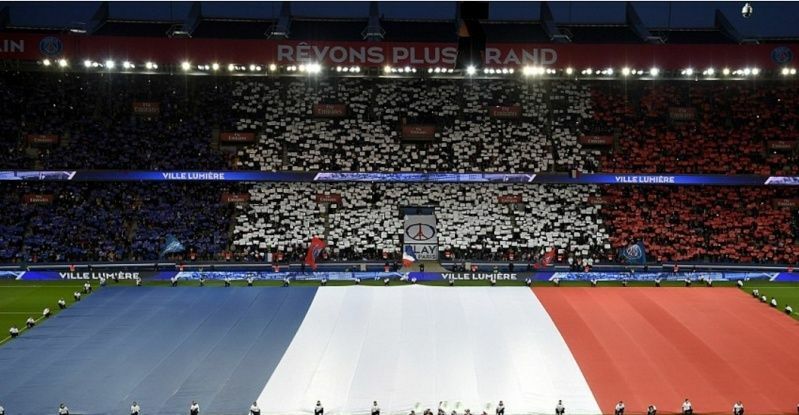 Supporters waved Tricolore flags before kick-off against rivals Troyes at the Parc de Princes stadium on Saturday evening, two weeks after terror attacks rocked the city and left 130 dead. 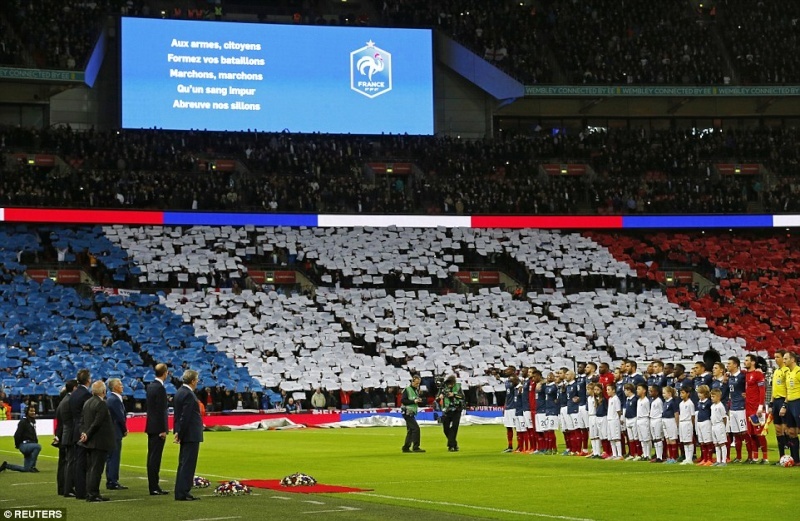 PSG players joined in the tributes, standing sombrely before the game began. The team was sporting shirts emblazoned with Je Suis Paris (I am Paris), rather than the usual logos of corporate sponsors. 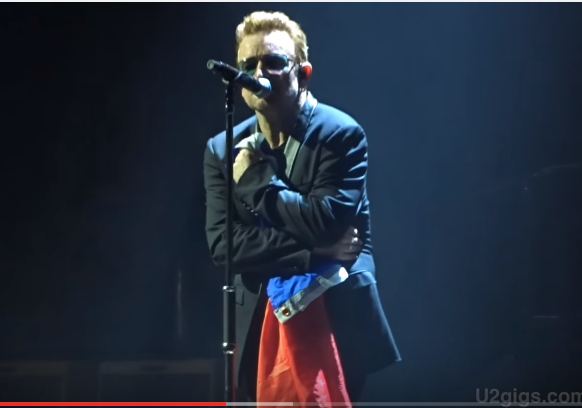 “Because I’ve never seen anyone that’s ever had one dead, and I want everyone to have access to them, and I saw people die that maybe could have lived, I don’t know.” The band will return to Paris tonight (February 16th) to play in the French capital for the first time since the terror attacks. 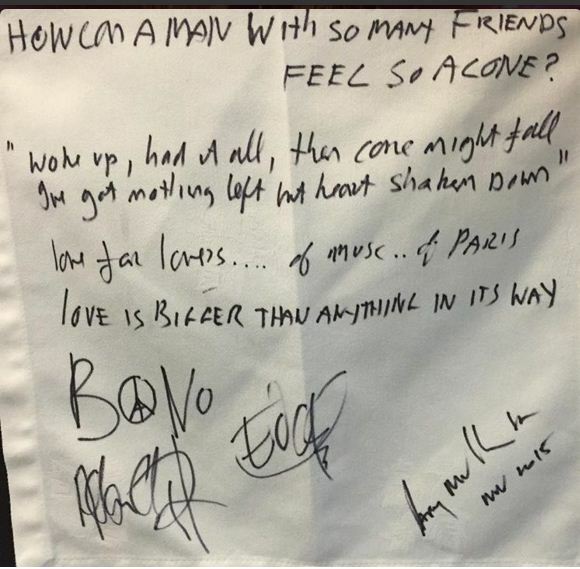 The band will play the Olympia venue and have given free invitations to survivors of the Bataclan attack. During the interview Hughes said he was still struggling to recover from the events of November 13th. "There's really no frame of reference for this at all ... I just wish it would go away. We will play the concert] so that everyone can kind of leave some of this bad stuff behind and make more room in here for better stuff," he added, pointing towards his heart. Trois mois après la tragédie du Bataclan, les Eagles of Death Metal ont fait leur retour mardi soir à Paris, sur la scène de l'Olympia pour un concert placé sous haute sécurité mais aussi fort en émotions. "On va passer un bon moment ce soir, personne ne pourra nous arrêter", a lancé Jesse Hughes, leader du groupe. Le groupe américain a été accueilli par une immense ovation du public parmi lequel se trouvaient de nombreux rescapés de l'attentat.